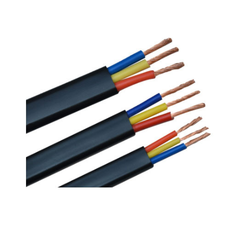 Our range of products include flat submersible cables. For the diversified and ever-rising demands of our customers, we are influential in presenting an extensive collection of Flat Submersible Cables. Flat Submersible Cables that are widely used to transfer power from direct power source to submersible. Manufactured with high precision and using the superior quality raw material, this cable is available at industry leading prices.